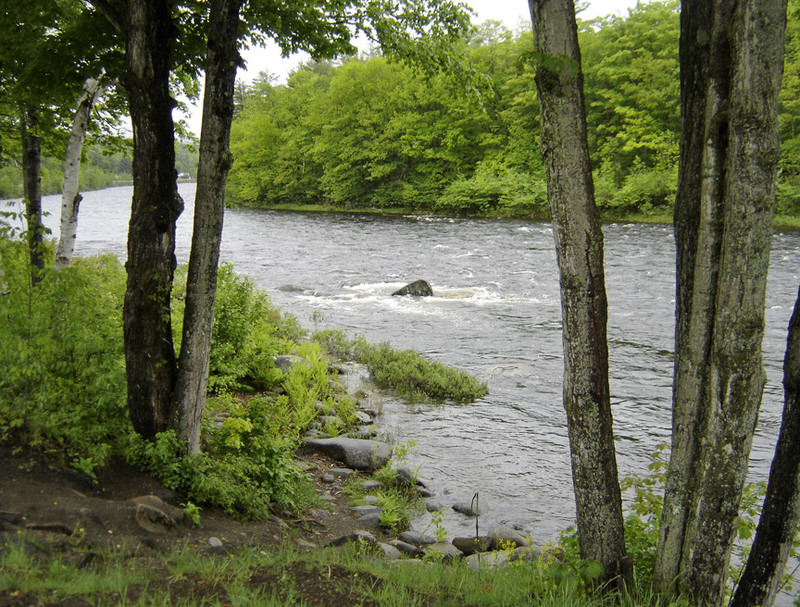 The Hudson River, called Muh-he-kun-ne-tuk , the Great Mohegan by the Iroquois, or as the Lenape Native Americans called it in Unami, Muhheakantuck, is a 315-mile (507 km) river that flows from north to south through eastern New York. It begins in the Adirondack Mountains, flows past the Capital District, and then forms the border between New York City and New Jersey at its mouth before emptying into the Upper New York Bay. Its lower half is an estuary, experiencing tidal influence as far north as Troy. The river was observed by Italian explorer Giovanni da Verrazano in 1524 as he became the first European to be credited with entering Upper New York Bay. After first being called the North River, it was eventually renamed for Henry Hudson, an Englishman sailing for the Dutch East India Company, who explored it in 1609. The Hudson River was originally named the Mauritius River, which is claimed to be the name given by Hudson in honor of Prince Maurice of Nassau. Alternatively, it is said to be the name given by Sixteenth century European adventurers, explorers, and fishermen who knew the river as River Mauritius, 'The River of Mountains'. It was also called the "North River", a name used primarily in the New York City area up until the early 1900s, with limited use continuing into the modern day. Early European settlement of the area clustered around the river. The area inspired the Hudson River School of painting, a sort of early American pastoral idyll. The official source of the Hudson is Lake Tear of the Clouds in the Adirondack Mountains. 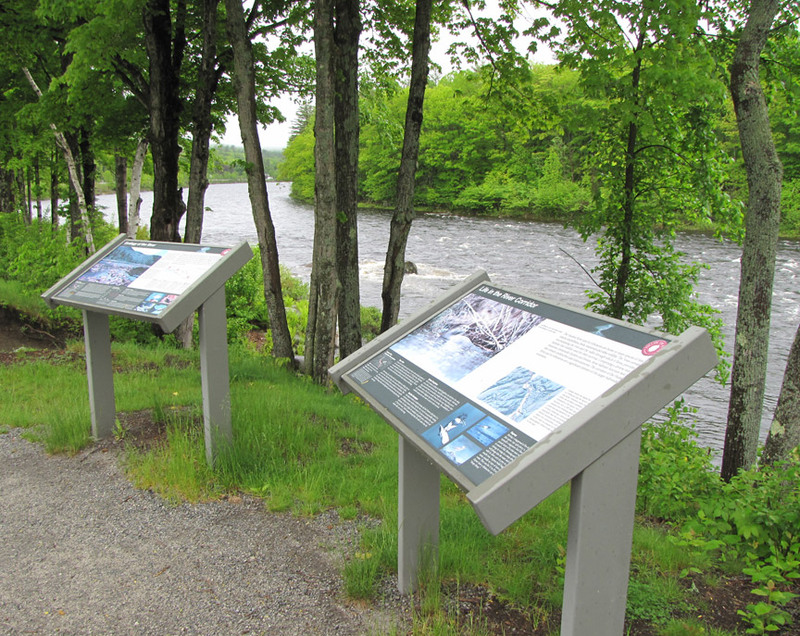 However, the waterway from the lake is known as Feldspar Brook and the Opalescent River, feeding into the Hudson at Tahawus. 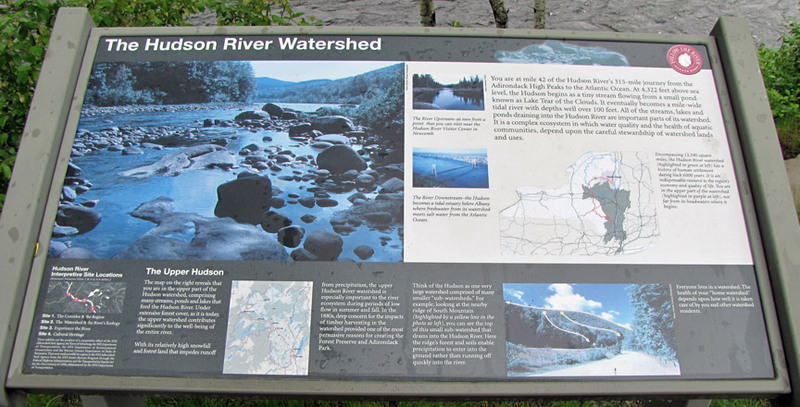 The actual Hudson River begins several miles north of Tahawus at Henderson Lake. The Hudson is joined at Troy (north of Albany) by the Mohawk River, its major tributary, just south of which the Federal Dam separates the Upper Hudson River Valley from the Lower Hudson River Valley or simply the Hudson River Valley. South of Troy, the Hudson is tidal and widens and flows south into the Atlantic Ocean between Manhattan Island and the New Jersey Palisades, forming New York Harbor, at New York Bay, an arm of the ocean. The Hudson was originally named the "North River" by the Dutch, who named the Delaware River the "South River." This name persists to this day in radio communication among commercial shipping traffic, especially below Tappan Zee. It was the English who originated the Hudson name, even though Hudson had found the river while exploring for the Dutch. The lower Hudson is actually a tidal estuary, with tidal influence extending as far as the Federal Dam at Troy. Strong tides make parts of New York Harbor difficult and dangerous to navigate. During the winter, ice floes drift south or north, depending upon the tides. The Mahican name of the river, Muh-he-kun-ne-tuk, means "the river that flows both ways." The Hudson is often mistaken for one of the largest rivers in the United States, but it is an estuary throughout most of its length below Troy and thus only a small fraction of water, about 15,000 cubic feet (425 m³/s) per second, is present. The mean freshwater discharge at the river's mouth in New York is approximately 21,400 cubic feet (606 m³) per second. The Hudson and its tributaries—notably the Mohawk River—drain a large area. Parts of the Hudson river form coves, such as Weehawken Cove in Hoboken and Weehawken. 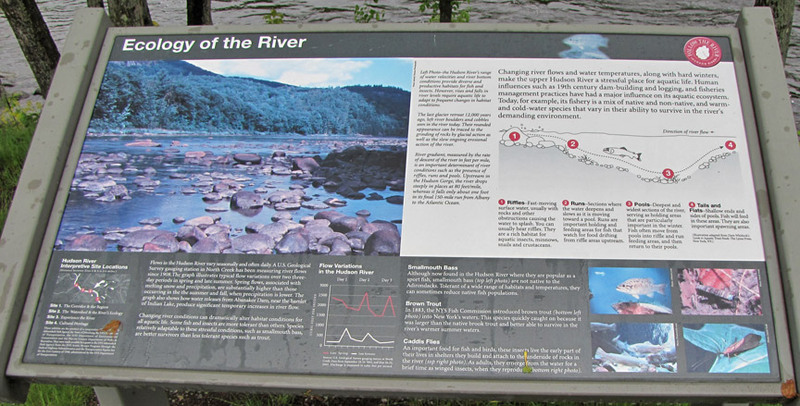 The Hudson is sometimes called, in geological terms, a "drowned" river. The rising sea levels after the retreat of the Wisconsin glaciation, the most recent ice age, have resulted in a marine incursion that drowned the coastal plain and brought salt water well above the mouth of the river. 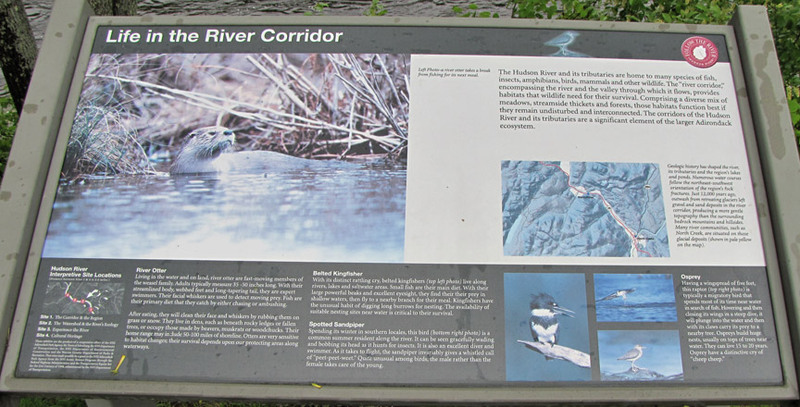 The deeply-eroded old riverbed beyond the current shoreline, Hudson Canyon, is a rich fishing area. The former riverbed is clearly delineated beneath the waters of the Atlantic Ocean, extending to the edge of the continental shelf. Notable landmarks on the Hudson include West Point, Home of Franklin D. Roosevelt National Historic Site, Bard College, the Culinary Institute of America, Marist College, the Thayer Hotel at West Point, Bannerman's Castle, Metro-North Railroad's Hudson Line (formerly part of the New York Central Railroad system), The Tappan Zee, the New Jersey Palisades, Hudson River Islands State Park, Hudson Highlands State Park, New York Military Academy, Fort Tryon Park with The Cloisters, Liberty State Park, and Stevens Institute of Technology. Cities and towns on the New Jersey side include Tenafly, Fort Lee, Edgewater, West New York, Weehawken, Hoboken, and Jersey City. Cities in New York State include Troy, Albany, Kingston, Poughkeepsie, Glens Falls, Yonkers, and New York City. The natural beauty of the Hudson Valley earned the Hudson River the nickname "America's Rhine", being compared to that of the famous 40 mile (65 km) stretch of Germany's Rhine River valley between the cities of Bingen and Koblenz. A similar 30-mile (48 km) stretch on the east bank of the Hudson has been designated the Hudson River Historic District, a National Historic Landmark. The Hudson was designated as one of the American Heritage Rivers in 1997.